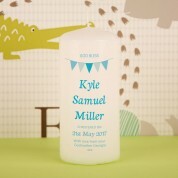 Our delightful personalised baby candle will light up any room. 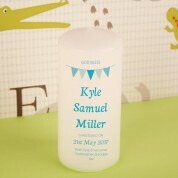 It comes complete with baby's name, special date and short 'with love' message making it all the more unique for him. All of our quality candles are produced and printed in house by our professionals. 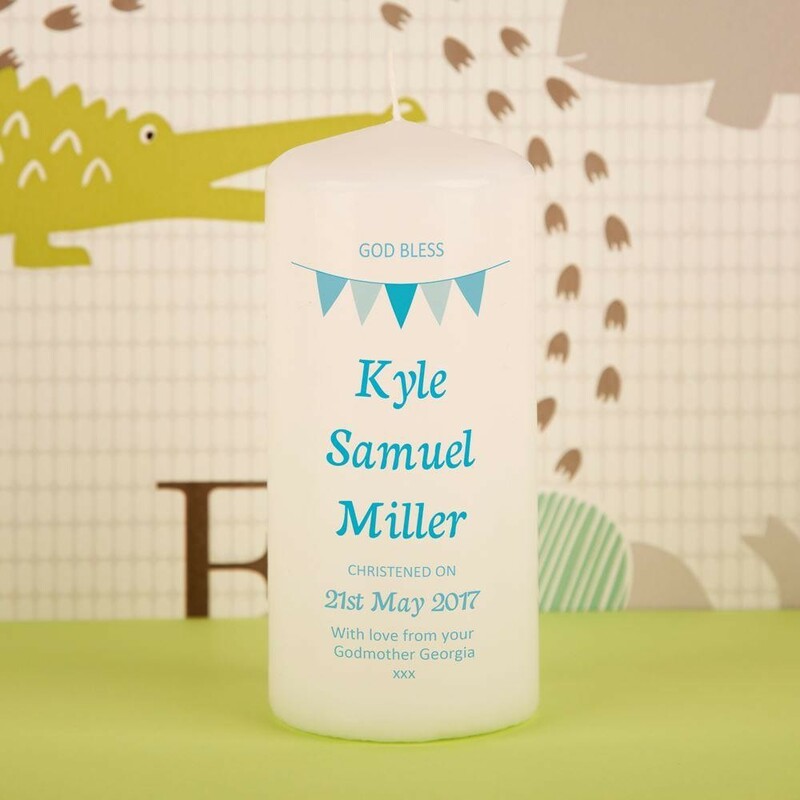 The gorgeous white pillar candle features cute blue bunting, with plenty of space for his full name in stylish italic lettering. At the top of the candle it reads “God Bless”. Below is a generous sized space for baby's Christening date and a personal message. The special keepsake comes gift ready in a luxury organza bag with a draw string ribbon. A treasured keepsake to be enjoyed for years to come.